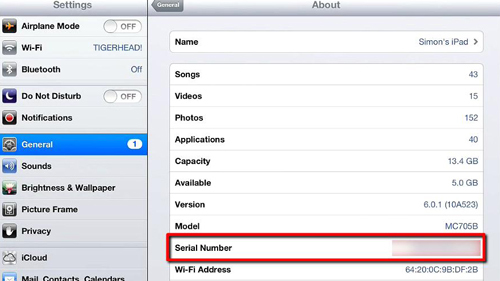 First of all you are going to need to find you iPad serial number. There are two ways to do this, the first is to flip over the device and find the information physically written on the back of the device. Alternatively open “Settings”, touch “General” on the left, the touch “About”. On the right you will see your serial number. Click on the “iPad” option. On the page that loads make sure that the country is correct at the top and then click the “Enter a serial number” text on the right. A text entry field will appear and you need to enter your serial number here and click “Enter”. Click “Select a topic” on the left. On the page that loads you will need to scroll down and look to the right. 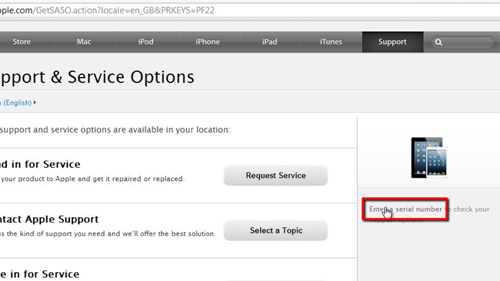 You will be given information about the status of your iPad, informing you whether you still have technical support or repairs and service. As you can see here our warranty for these has expired. 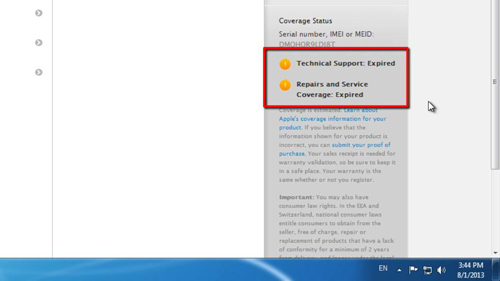 You have just learned how to check iPad warranty online.